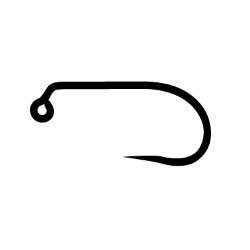 Perfect hook for medium to small dries. Super sharp and extremely strong. Hanak H470 Wave Jig hook is the newest addition to the Hanak jig hook line-up featuring a super sharp ''wave point'' that will penetrate quickly and hold like a champ. Perfect for smaller fish that like to jump around after hooking them! An amazing nymph hook that will hold fish!! Upturned, needle point with a super wide gap is perfect for Czech Nymphs and grubs without beads as well as larger style mayfly nymphs. 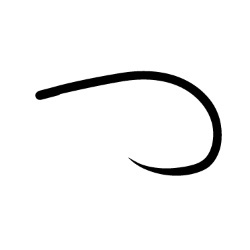 These are Hanak Competition Hooks that Umpqua has brought to the United States and are truly an incredible hook. Super sticky point will hold fish like no other competition hook.